The list of contenders for appointment to fill the City Council District 2 vacancy tentatively grew to 20 Friday after a federal judge granted a request by an attorney that he be considered for the position. Bryan Pease, a lawyer long active in the La Jolla Children’s Pool controversy, was granted a temporary restraining order by U.S. District Judge William Hayes, over the objection of the city of San Diego. 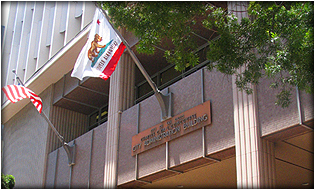 The vacancy was created by Kevin Faulconer’s victory in the Feb. 11 runoff election for mayor. The office has been open since he was sworn-in March 3. The vacancy is being filled by appointment since Faulconer’s term was due to expire this year. A primary election is set for June 3. Pease said in court documents that he was denied a chance to file an application for the temporary position because he didn’t register to vote at his Ocean Beach residence, where he has lived for about one year, until two days after the deadline imposed by the city’s Municipal Code. The lawyer argued, however, that he lived in the district previously for about three years and was registered to vote during that time. The city requirement is that a candidate be registered to vote for 30 days before the deadline, but not necessarily immediately before the deadline. The judge ruled that Pease’s interpretation of the statute “is sufficiently plausible to raise serious questions going to the merits of his claims.” He also found that the attorney’s rights would be harmed if not allowed to state his case for appointment at a City Council meeting on Monday. Lawyers for the city had argued that the litigation and dispute over his eligibility would make it unlikely Pease would be appointed. The judge’s decision was only to bar the city from denying Pease’s application on the registration issue, however. It does not prevent the City Clerk from ruling him unqualified on another basis. The candidates will each get 20 minutes at Monday afternoon’s council meeting to state why they should be appointed. Whoever receives a majority of votes will take the office immediately. The City Council asked for candidates who are only interested in serving for the roughly seven months remaining in the term, and not running for election this year.